Get the Designer Edge For Your Listing! We all know that when shopping for a new home people typically start their search online. Weather it be on a real estate app, Facebook or Instagram you want an image that catches potential buyers eye and gets more visibility to your listing! 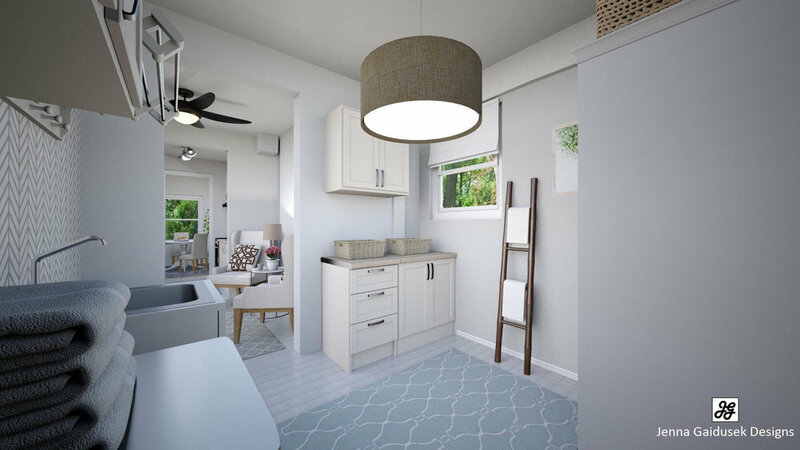 Using fresh design renders in your Social Media marketing, capture the attention and inspire potential buyers that aren't afraid of some simple DIY projects to update their new home. What is the first thing new home owners want to do? DECORATE IT! Not everyone can afford to hire an interior designer, as an agent you can set yourself apart and partner with me to offer a unique service that benefits everyone! I offer two options depending on your listings needs. Check out the options below. -Once you sell the home based off the renders the new homeowner can buy the pieces that sold them on the home! They will get a customized Pinterest link to the paint and furnishings used in the renders. -My prices are comparable to the other apps out there and you will receive exceptional, customized and fast service. -All designs are custom curated by me! I am an interior designer and have been in the virtual design field servicing home owners exclusively since 2015. -You are supporting a small business in the United States. -I strive to make my clients happy with every design because I know it is a reflection of your business, want to make adjustments to the design- let me know! This is is a unique service allows potential home buyers to visualize simple renovations before moving in (like painting, replacing windows, new lighting and decorating- nothing structural). The seller doesn't have to renovate ANYTHING! I do not render your photos in this package, instead Irecreate the room entirely in 3D and take a variety of snapshots of the room as if you were in it! This is is a unique service allows potential home buyers to visualize simple renovations before moving in (like painting, replacing windows, new lighting and decorating- nothing structural). The seller doesn't have to renovate ANYTHING! I do not render your photos in this package, instead I recreate the room entirely in 3D and take a variety of snapshots of the room as if you were in it! After receiving your payment, e-mail me a link to your listing or photos that will be posted. If you wish to have a floor plan please include measurements of the room. Use my Measurement Guidelines for assistance. -4 to 5 Images of each space included in the listed price. (Smaller spaces may not yield as many pictures). Use these images in MLS (if allowed in your state) or use them in social media (Facebook, Instagram, Twitter etc). -The buyer has an option to buy some of the pieces in the render for their new home so they can achieve the look they fell in love with in the renders. You will get a custom Pinterest link to all the rooms rendered with paint colors, furnishings and other tips for the space. -A well thought out design for the space. Every is carefully designed as I would for any other client with the function of the space considered. *Some restrictions apply to 3D renders (such as exact kitchen cabinets and some special features). Areas with custom features may be reviewed prior to purchase to ensure the render quality is feasible. *If you purchase the service through my website prior to review of your images and the scope of work is larger than presented pricing may be adjusted. *Open concepts are considered multiple rooms. *You must purchase a virtual staging package to add on a video or floor plan. Not sold separately. *Add a video of the rooms rendered (and any "Before" photos you'd like to include) up to 12 pictures. *Add an eye catching floor plan that showcases furniture placement features. Floor plan Price Per Room. *Add a media package and get 3 graphics with before and after pictures that are formatted to Facebook, Instagram or info graph content. 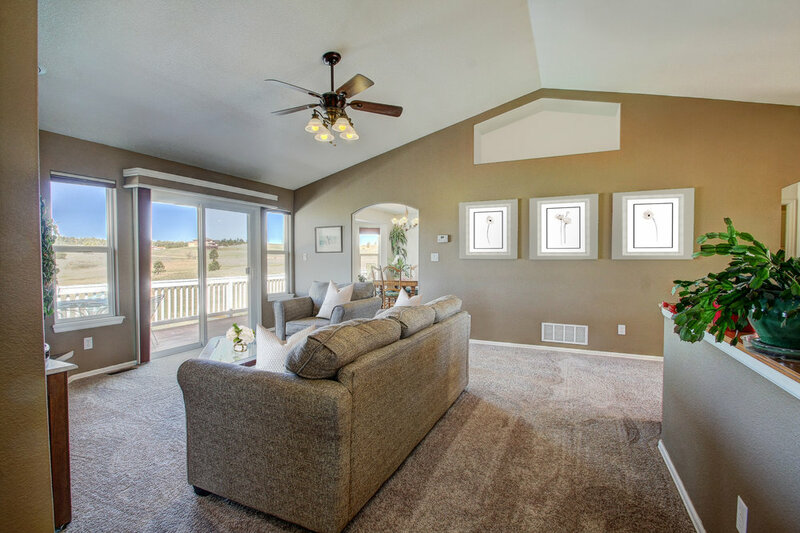 Drop in Rendering utilizes your high quality, empty room photos and drops in furniture and decor to create a virtually staged and inspiring space! Ample lighting and clean design is a must for the best results. Photo's should be straight and taken at eye level. I will drop actual furniture pieces (that your buyer can purchase) into the picture to create a visual of how the room can look with furniture in it. After receiving your payment, send me a link to your listing or photos via email. If you add a floor plan please send room dimensions. Click here for measuring guidelines. With in 48 hours (multi room projects may take slightly longer) of receiving the project information I will email you a zip folder with your rendered images (and floor plan/ video if you add them). Its that simple! Have an idea for how you would like the space to look? Share that with me before I begin designing. -1 fully staged rendered image from the pictures you provide. -1 link to a Shopping list that your buyer to use to purchase the items shown. Simply pass on the link at closing. -Complementary ordering service and savings off retail pricing for the new home owner (Some restrictions apply). -Paint and finish selections are not included in this design package- simply furniture and decor virtual staging of vacant properties. *You must purchase a virtual staging package to get add any of these services. Refer Another Realtor As a former realtor I understand the value of referrals! I offer an exclusive Realtor referral program for recommending fellow Realtors to my services. Once your referral purchases a design service you will receive one free room render for your next listing. (Good for one image- drop in render for one space only). Limit one per new referral. They must mention your name at the time of purchase. Pass on my information and the shopping list to the buyer at closing and they receive a complementary 30 Minute phone/ video consultation with me for their new home. Once they have their consultation you will receive one free room render image (Drop in render of a space of your choosing- 1 per new buyer). I offer custom virtual design services for homeowners as well. My services range from floor plan layouts to full service interior design projects. I provide you with a realtor discount on these services should you wish to purchase one for your client as a closing gift. Use the arrows above to view the full E-book and learn more about the virtual staging services. If it doesn't load right away refresh the page. Or request a printable PDF format.